Richa Chadda is currently busy shooting for Anubhav Sinha's Abhi Toh Party Shuru Hui Hai in Lucknow. The versatile actress as we all know is a vegetarian and prefers to eat homemade food. She doesn't like to eat out too much due to health reasons and prefers a balanced diet. 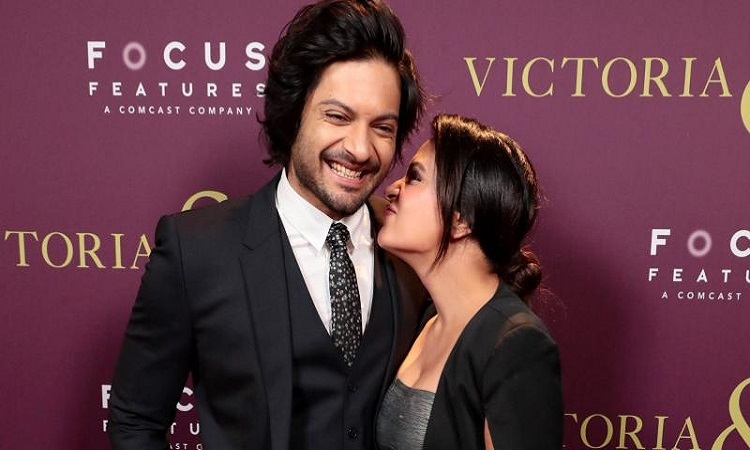 While shooting for the film in Lucknow she was craving some homemade food when beau, Ali Fazal learnt about this craving and immediately came to her rescue. Both the actors are currently in Lucknow shooting for their respective films. Ali is shooting for Tigmanshu Dhulia's ambitious project Milan Talkies. A source close to the actress said, "Richa misses ghar ka khaana and Ali is aware of the same. So, in order to make her feel at home and happy, Ali's family packs in delicacies for Richa which are relished by her team and her. Everyone on the set awaits the dabba because nothing feels better than a delicious home-cooked meal, miles away from home."